Trim more sheep hooves in less time by ditching the hand shears. Trimming Sheep Hooves Shouldn’t Have To Be Difficult. In most cases, trimming sheep hooves is required once every year, but the volume of sheep can make the process overwhelming. Manual hand shears only make the process more difficult. Hoof Boss was developed with the user in mind. It’s an electric trimmer that significantly cuts down on time spent trimming hooves. Traditional trimming tools don’t come close. It’s not uncommon for sheep owners to have hundreds of head, and each of these animals will require hoof trimming at least once per year. That’s a lot of sheep hooves. 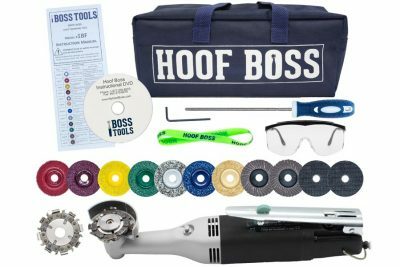 The Hoof Boss was designed to make the process of sheep hoof trimming much easier and efficient, especially when using our special 8-tooth chain disc. 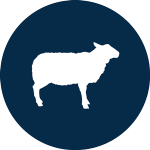 This makes the Hoof Boss perfect for large scale operations, while still being useful to those with smaller numbers of sheep. 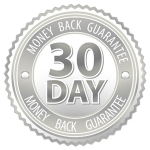 This tool is ultra-efficient. Some hand trimmers don’t allow the user to control the depth at which the cuts are being made. This can result in deep gashes that cause bleeding and increase the chance of bacterial infection and hoof rot. 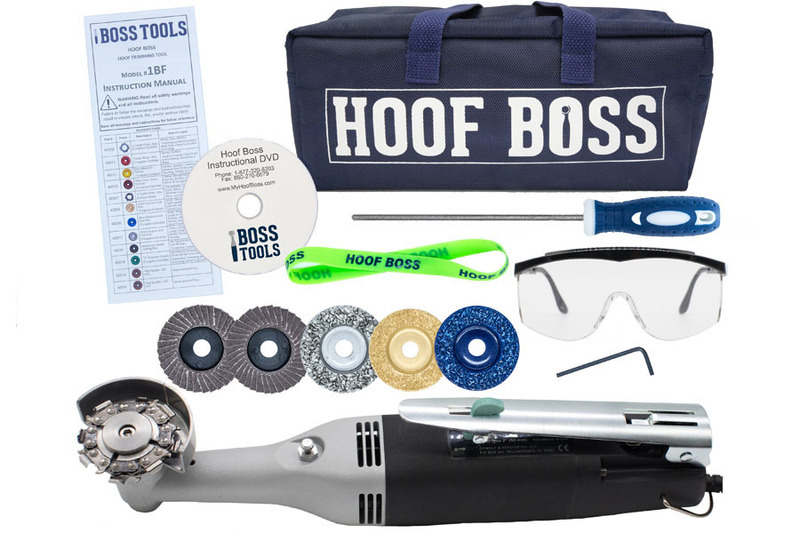 The Hoof Boss comes with an array of abrasive discs and an 8-tooth chain disc, all of which offer an increased level of control, and reduce the chance of quicking the hoof. A problem often encountered when trimming multiple sheep hooves with hand shears is that the shear edges can quickly become dull. Dull shears require frequent resharpening, which costs time and money. But if they’re not sharpened properly, it can lead to jagged edges and uneven sheep hooves. The Hoff Boss’s durable 8-tooth chain disc can be used hundreds of times before there is any need for replacement. Trimming hundreds of sheep hooves can cause significant strain on the operator’s hands, and this is especially true for those who suffer from arthritis or carpal tunnel. 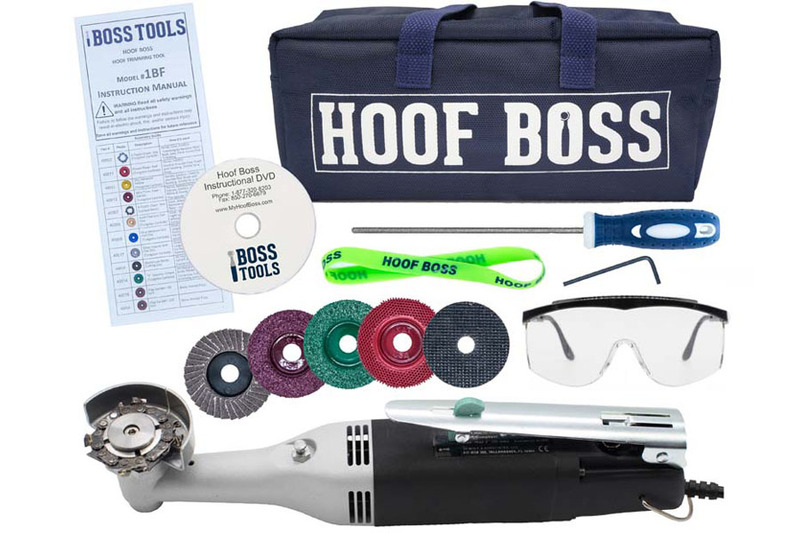 The Hoof Boss has a lightweight and compact design that will fit comfortably in the hand of any user, so there will be no undue strain on the wrists or the body.